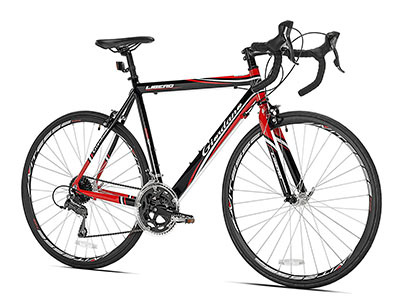 Looking for a new road bike, but don’t want to spend over $1000 on one? Then you’ve come to the right place. This article is going to highlight six of the best road bikes under 1000 dollars. The criteria for our short reviews here include the full specs, type of bike, user opinions, and what features make each model stand out. Here is our list of the top six best road bikes under 1000 this year, suited for various uses and riders. For the price and quality, it’s easy to start the list of the best road bikes under 1000 dollars with this Vilano. In their catalog, this bike is their bestseller, recommended for beginners. A lot of user reviews agree that this makes a entry-level bike, but you do get what you pay for. Several reviews highlight assembly issues and some problems with shifters and brakes. 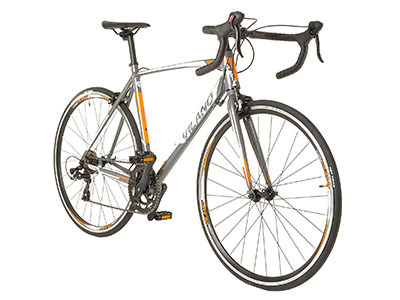 Rated 4.1 stars, this model by Giordano is one of the best road bikes under 1000 for training. Although it is slower than most other road bikes, its lightweight construction and dependable performance make it a keeper. User reviews state that it is a really good bike for beginners and that there are not many assembly problems other bikes in this price range seem to have. For a newbie cyclist who is just starting out with bike training or riding with a group, this model by Vilano is one of the best road bikes under 1000. Like the other Vilanos, this bike holds up to constant riding and is easy to assemble. The manufacturer and several reviewers do suggest having a mechanic look it over for safety and tuning before hitting the road. Recommended for: Entry-level training/Cyclists getting back in the game. This model by Merax is one of the best road bikes under 1000 we could find for racing and training. With a 4.3-star rating, it’s easy to assemble and transport. The Quick-Release front wheel makes for easy assembly and can be taken off to transport the bike in a car. Some reviewers did express their worry about the brakes being too soft and needing tuning. 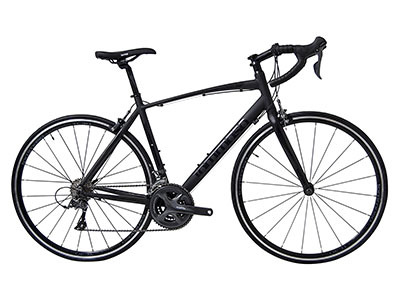 For endurance, this model by Diamondback is a budget road bike that truly stands out. Diamondback has enhanced their design to create a lighter, faster bike with a geometry that reduces fatigue. 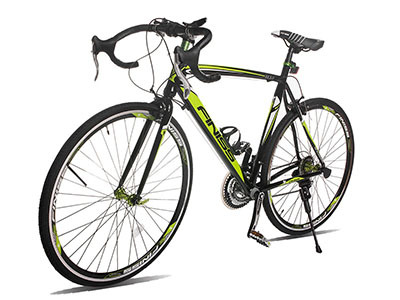 Rated at 4.3, many reviewers agree that it is a quality entry-level bike even though a few users have reported they have had to make adjustments or replace parts right away. As far as road bike endurance goes, this model by Tommaso Forcella is the best road bike under $1000. Tommaso believes in outfitting its bikes with the same brand parts instead of mixing and matching them to improve performance. Many of the reviewers have praised the bike for its outstanding performance during long rides and over different types of terrain. Though it comes as ‘Ready to Ride,’ the company does suggest getting the bike checked at a local bike shop first. Whether you are looking to save gas and get some exercise or want to just hit the trails, here are six of the best road bikes under 1000 dollars. All of them look promising and each bike has something that may fit what you have in mind. Best of all is their price, which makes them affordable for every biking enthusiast looking for a good road bike without the high price tag. What affordable road bikes do you recommend? Let us know what you think is the best road bike under 1000 dollars! Disclosure: There are affiliate links from Amazon in this article and our website may receive a commission for purchases made through the links we shared. This partnership does NOT affect the price of the product nor does it influence our objectivity, as we only review products we consider high-quality and ideal for all adventure-seekers. I am unsure of what to get. Either the Vilano Shadow or the Merax are the best ones to get and I am totally torn over which one could potentially be better. If anyone has an opinion on either due to personal experience, I would love to read about it. 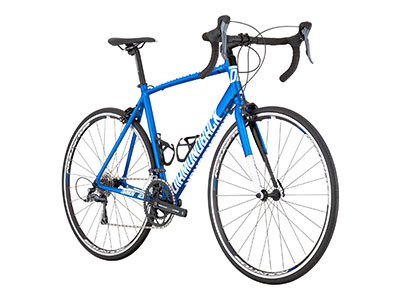 The Vilano Aluminum Road Bike 21 Speed Shimano road back I would most definitely recommend. I found that the ride from that one was smoother than the others I have tried if you are wondering which ones is the best on this list. Thank you so much for your recommendation! It’s always useful to hear what other people think about the products we reviewed. Are there any others that caught your attention? Let us know! I am looking around for a bike since I need to up my activity more. Bike riding is a great way to burn calories. But I am not sure what is best for someone who has not ridden much in the past. Can you help me? Hi, Megan! We’re glad to hear you’re including biking in your fitness routine. If you don’t have a lot of experience with bikes, we’d recommend you to pick the first option on our list of the best road bikes under $1000, namely the Vilano Aluminum Road Bike. It’s lightweight and inexpensive, so it’s great for beginners! Don’t forget to let us know how it goes with it, after you buy it! 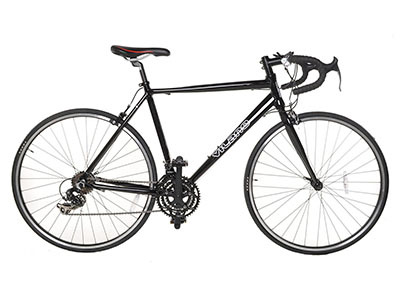 Merax is one of the best road bikes around that is relatively inexpensive and is easy to use. One important feature that I like is that it is strong and as a result, it is safer to ride rather than a bike that is too light would be. Indeed, MJ, Merax is one of the best products we found after we analyzed the entire offer on the market. Safe and inexpensive, what more can you wish for? Oh yes, the Giordano Libero road bike is awesome. It is cheap, and it is strong, and long-lasting, and does exactly what you need it to do. I can’t comment how good this is for beginners as I have been riding for a while though. Thanks for this. Of course, you want to save money while you are shopping for a road bike, but you also want to make sure that the bike is of good enough quality where it will last you a long time and keep you safe. Indeed, Jimmy, it’s hard to make the right compromise and find a balance between saving money and getting a good road bike. We hope you find the most convenient product for you!